Need a gift idea for the foodies in your life? Add these picks to your holiday gift list. I'n my gift guide, I've got you covered from stocking stuffers to splurges! This is my favorite time of year, and I love shopping for presents as much as I l've to receive them. 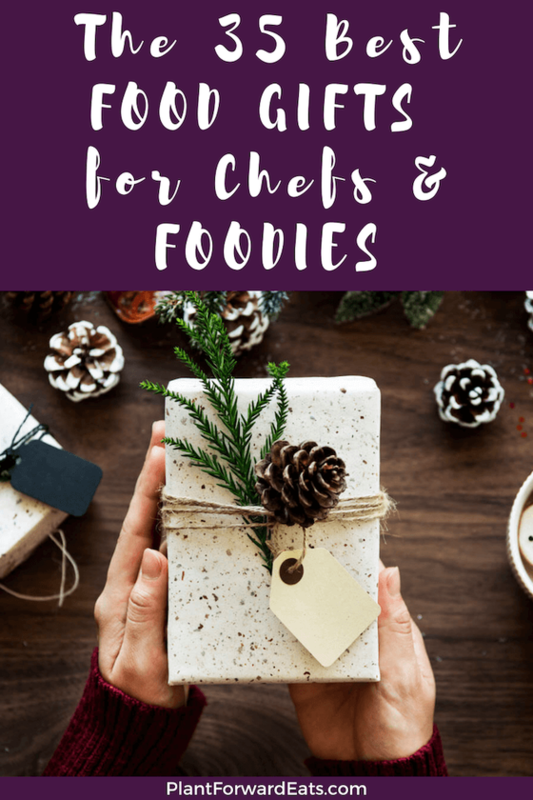 I'm a believer that every foodie in my life should receive hand-picked gifts, which is why I put together this holiday gift guide of my favorite food and kitchen finds to help with your holiday shopping! 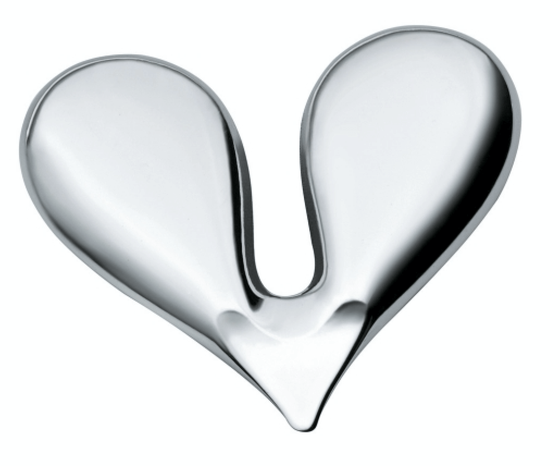 This stainless steel, heart-shaped piece is as functional as it is beautiful. It's a walnut splitter that'll help the mom in your life achieve healthy snack time. I love adding lemon or orange zest to recipes, and this grater makes doing so easy! It also works well with hard cheeses like Parmesan. 3. Make mini muffin baking a breeze. Mini is the perfect size for smaller portions of muffins, cupcakes, and even egg cups. A great stocking stuffer for any cook or baker, these mini FDA-approved silicone cups are reusable, resulting in less paper cup liner wastage. They're safe for both the oven and the freezer. This small silicone spatula is designed specifically to flip cookies. I also find that it's perfect for making omelets! 5. Make a sweet breakfast. What's lovelier than a heart-shaped breakfast? Use this heat-resistant egg ring to whip up eggs or berry pancakes. Then make the egg ring part of the present! 6. Whip up veggie noodles. Spiralizing is still all the rage, and this sweet handheld spiralizer allows you to cook up veggie-based versions of your favorite noodle dishes, like Pad Thai and "spaghetti" Bolognese. 7. Make the perfect cake. This simple tool allows you to test baked goods for doneness. It's thinner than a toothpick so won't leave a mark. 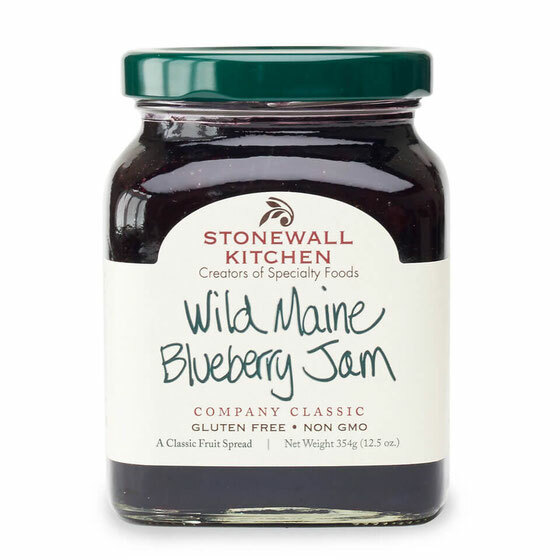 I always look for jams with fruit (in this case, wild Maine blueberries) as the first ingredient, not sugar. This jam tastes fab on scones or as a topper to brie. 9. Grow your own herbs. I don't have a green thumb at all. But this herb in a can requires almost no work and yields mint and more for the picking. 10. Get gourmet with mustard. I'm a sucker for low-cal condiments that pack a ton of flavor. This set includes all the dijon you could ever ask for: Original Dijon, Honey Dijon, Old Style Whole Grain Dijon, and Rich Country Dijon. 11. Add flavor to anything. I'm kinda obsessed with truffles, and I'm a fan of adding a small amount of this flavor-packed truffle salt to omelets, grilled vegetables, roasted chickpeas, and more. This spice mill is a find because it allows you to easily grind fresh nutmeg, adding a powerful flavor punch to baked goods, oatmeal, and more. I enjoy hosting almost as much as I do cooking and baking, so I was excited to find this stoneware serving platter. 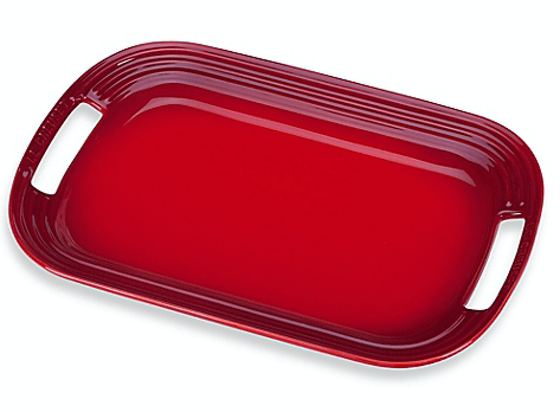 It's oven safe, perfect for easily reheating gourmet pizza slices and other appetizers. I have a lot of knives that didn't come in a set. It would be difficult to store them if not for this sleek slotless knife block, with flexible plastic rods that settle around the knives to secure them in place. I love this cushy mat because it reduces the stress and discomfort that can come from hours of standing in the kitchen. It's a good pick if you're going in with your siblings for a larger gift. When I cook and bake, I'll often load a recipe onto my tablet and tweak it to make it healthier. I may sub in applesauce, pumpkin puree, or blended cottage cheese for some of the oil or butter. That's why this holder is a find: The angled stand is ideal for reading recipes, and the water-resistant shell protects devices from minor ingredient splashes. Softer than most cutting boards, this one is made of pretty Japanese cypress, yielding a product that gives as you cut so slow down how fast your knives dull. The size offers an excellent canvas for slicing and dicing. 18. Prepare a custom coffee drink. 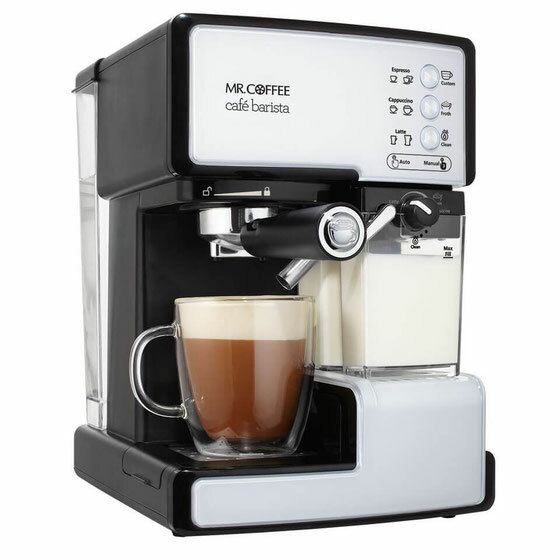 I love cappuccinos and lattes and am happy to whip them up at home! I can do this, thanks to a gourmet coffee maker. 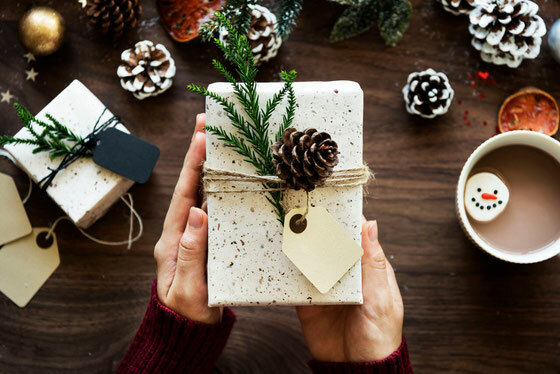 Although this gift is a definite splurge, it allows the recipient to be her own barista and customize a drink with regular milk, pistachio milk, and more. 19. Make an instant vinaigrette. This mister is space efficient, with storage slots for both oil and vinegar. It also features adjustable setting so you can customize a light salad dressing. Plus, you can use the all-oil setting for misting pots and pans. 20. Light up your baking. For someone who spends a lot of time in the kitchen, I've waited awhile to get my own hand mixer. That's why I'm glad this beauty exists. It provides a light to ensure all ingredients are thoroughly mixed together. Plus, it stores upright, so I can leave it on my kitchen coutner. I've been obsessed with smoothies lately: They're the perfect solution for busy mornings, and I even freeze and eat them as dessert sometimes. This compact blender comes with to-go cups and blends ingredients into an ultra-smooth meal. 22. Roast (and don't burn!) vegetables. This non-stick mat makes it easy to roast veggies like eggplant slices without burning the bottoms. You'll save calories since you won't need any oil with this mat. You can also use it to cook meat and to bake cookies. 23. Whip up veggie "pasta." I love spaghetti squash, but it's harder to find during certain seasons. That's why this vegetable spiralizer is a great tool: You can turn zucchini, carrots, and more into low-cal "noodles." Then top with a pesto, marinara, or cottage cheese Italian herb sauce. This spiralizer comes with five blades, allowing you to choose from flat ribbons, angel hair, and many other cuts. 24. Create the perfect stir-fry. I waited years to get a wok. It's now one of my favorite kitchen tools: It cooks my tofu and veggies at a constant, even heat, without requiring any oil. Instead, I use vegetable broth as the base. 25. Bake your own whole-wheat bread. This bread maker couldn't be easier to use. You just place the ingredients in the machine, choose the level of browning, and two to three hours later you have fresh bread! Bonus: The machine has settings for dietary needs, from salt-free to gluten-free bread. If you need even more foodie gift ideas, take a look at these must-have kitchen tools for healthy eating. A version of this article originally appeared on WeightWatchers.com. What are your thoughts on this topic? What are your favorite holiday gifts for foodies?